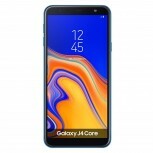 Samsung’s second Android Go phone – the Galaxy J4 Core – has cropped up on a Brazilian online store. It seems to be a mistake rather than a quiet announcement, but we’re happy to gawk at the specs either way. 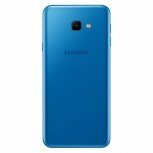 It’s a bigger and more advanced phone than the Galaxy J2 Core, but is still an entry-level device. 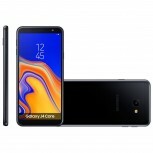 It sports a roomy 6” display with a modern 18:9 aspect ratio. The 720 x 1,480px resolution makes it sharper too at 274ppi (the J2 Core screen was 5” 220ppi). The chipset, unfortunately, hasn’t been updated and still features a weak CPU (quad-core A53 at 1.4GHz). It’s paired with 1GB of RAM and more storage, 16GB. There’s a dedicated microSD slot (up to 256GB) in addition to the dual SIM card tray. Anyway, the Samsung Galaxy J4 Core features an 8MP camera on the back (f/2.2) that can record 1080p/30 videos. Also, there’s a 5MP selfie camera on the front with its own LED flash. The battery has 3,300mAh capacity and supports fast charging over microUSB. Other connectivity options include LTE, 2.4GHz Wi-Fi, Bluetooth 4.2 and FM radio. There’s no NFC. 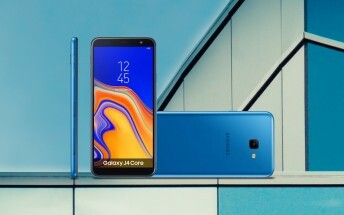 The phone will be available in Blue, Black and Copper, but there’s no price or shipping date yet. It will run Android 8.1 Oreo (Go Edition) at launch.